Valentine's Day, love it or hate it, is happening soon. Stay in and order UberEats, cook with friends or just go about your day and evening as is routine. Your prerogative. Whether you met on Tinder or in real life, first dates are always a bit stressful. Many first dates go down on Valentine's Day, the most over-punted romantic 'holiday' of the year. 1. Go sunset hunting at the 14 Stories rooftop bar at the Sun Square, City Bowl, Cape Town. 2. Go old-school glam and visit the new Athletic Club & Social on Buitengracht, Cape Town for whiskeys, wine or fancier drinks. 3. Bond over your shared love for caffeine (and cheesecake) and skip the Valentine's Day dinner crowd by doing a day-date - grab a coffee at Tilt in Melville, Jozi. 4. Sip on drinks at one of our all-time favourite spots, the Oyster Box Hotel in Umhlanga. An oldie, but such a goodie. 5. Arguably one of the best views in Jo'burg, head to the Four Seasons Hotel The Westcliff in leafy Westcliff for sundowners. 1. Whether you want to go for a sunset walk or go on horse-back, Noordhoek Beach in Cape Town is a romantic spot ideal for proposing as it's less crowded than some of Cape Town's other popular beaches. 2. Go big and head to the luxe Tsala Treetop Lodge on the Garden Route. Sitting up high, it's the ideal place for romance, as you dine of fine foods and sip bubbly, taking in forest views. 3. Head to God's Window in Graskop and fall in love again as you take in the panoramic views of the Lowveld and forest clad ravine that forms part if the Blyde River Canyon Nature Reserve in Mpumalanga. 4. 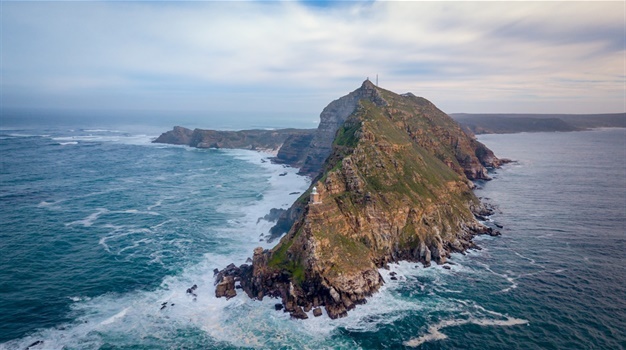 Go for a romantic dinner or stay at the Tintswalo Atlantic, a five-star boutique lodge at the foot of Chapman’s Peak on the Cape Peninsula’s Atlantic seaboard. It’s the only lodge in the Table Mountain National Park, a World Heritage Site, and is on the edge of a pebble beach, with its 10 suites overlooking the ocean, the Sentinel mountain range and Hout Bay. 5. Pop the question in the remote Midlands in KZN, where the grass is always greener. The ideal setting for popping the questions, maybe do so on a beautiful hillside overlooking the area. The 4-star cottages and spa at Brahman Hills are exquisite - and just right for a getaway. Go for the The Couple’s Spa Pamper Stay-Over package per couple sharing in a hotel room includes two nights’ accommodation in a hotel room, including breakfast; detox fresh juice and a snack on arrival for treatment at the Spa; four Spa treatments: body scrub, mineral bath, back of body relaxing massage and a choice of a pedicure or head massage or foot and calf massage and one picnic basket with bottles of bubbles per couple. R4 996 per couple - valid from 1 February – 31 March 2019. Reservations: 033 266 6965/ reservations@brahmanhills.co.za. 6. Go classic and head up to Table Mountain in Cape Town. Here you'll find many cosy and hidden spots to pop the question.